We spent our last weekend getting fried in sunlight, preparing the launch of Kvark for the coming season. Many thanks to Magnus Otsa and Katrin Nigumann for the help! Kvark in Käsmu, early June 2018. Uku standing on deck and Magnus standing by. Our previous launches have either been very expensive (order a large truck with a large crane, 350+ EUR per time) or very tedious (half a day of Ancient Egypt style construction work and labor). 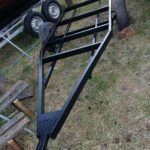 The idea of building a custom trailer has been in the air ever since Kvark saw daylight a number of years ago. 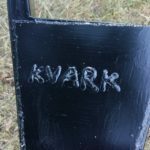 This year we finally took the time to act and start the construction of a custom Kvark trailer. 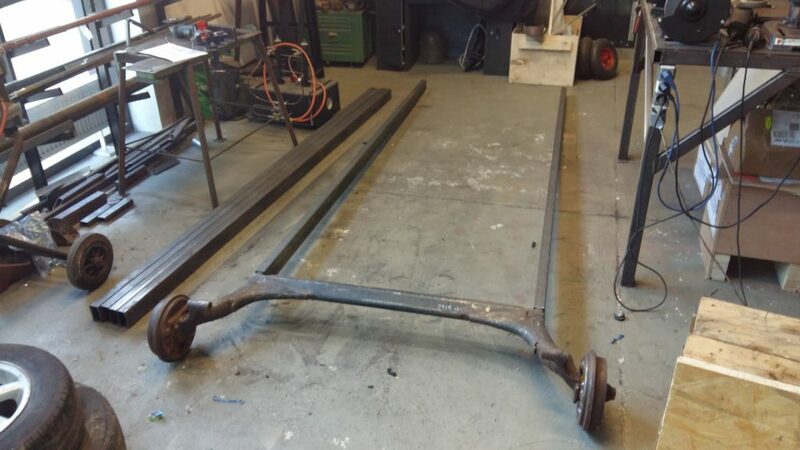 For this, a Volkswagen Golf rear axle was purchased from a friend, and some 20 meters of steel profile in 3 meter segments. The assembled drum with brake system removed. 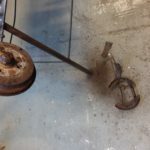 All the brake calipers had to be removed from the drums first. 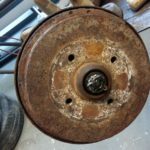 The wheels would otherwise most certainly rust shut. 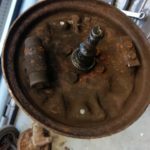 It took a ton of grinder work to get all the rust off the axle. It came off of a junkyard car. A lot of welding had to be done, in excruciating heat. 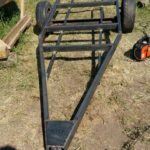 The trailer chassis took shape by the hour. Fortunately it is a rather simple build. Of course, if you build your own trailer, you can add your own name to it in welding. Next up will be adding four arms to the trailer, two on either side, to hold the sailboat in place. 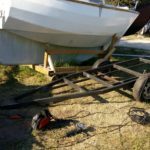 We’ll add some rollers under the keel to make it easier to get the boat off the trailer. Katrin working on oak and varnish. We also sanded the exterior oak parts of old varnish and applied three new coats. Some painting was also done, plus a few patches of glass fibre on the rudder. Next up will hopefully be launching! 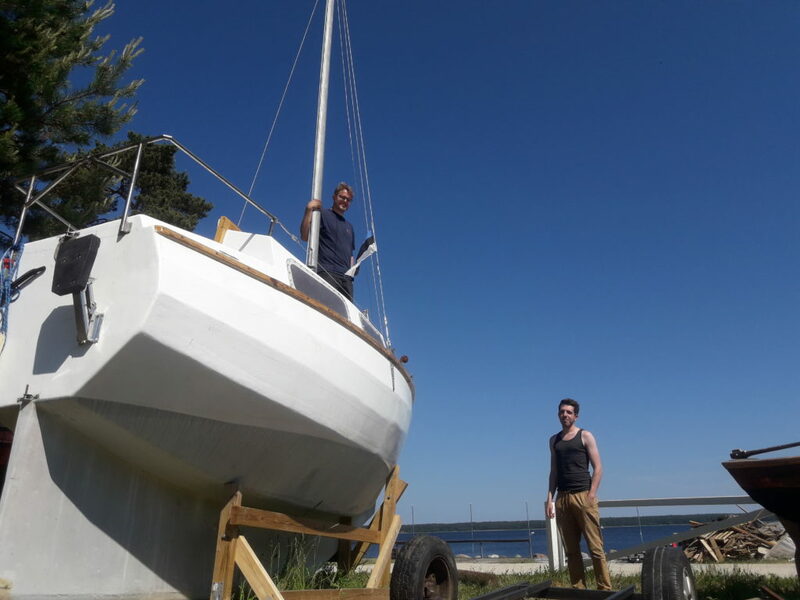 This entry was posted in Building blog and tagged launching, sailboat, trailer work. Bookmark the permalink.